That’s true that Armenia is still a developing country and standards of living are not on the highest level. But they are far from being on the lowest level either. Tourists sometimes “see” Armenia as an extremely poor and undeveloped country, where people have never seen a PC and have never heard of internet. Things that amaze tourists are means of transport (especially the underground), number of cafes and restaurants, quality of service and so on. When tourists try to ask something in the street they are often afraid that no one will understand them. But this hardly happens. Many Armenians especially the youth have excellent English language skills and will readily help tourists. 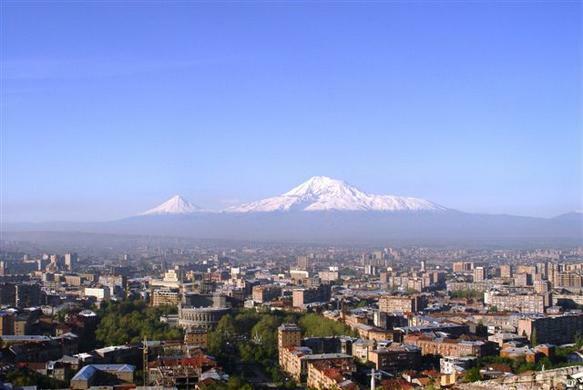 Russian, French, Spanish, Italian and German are also common in Armenia as foreign languages. Hospitality is the characteristic feature of Armenians that differentiates them among others. Armenians are exceptionally guest-loving nation. They are always ready to help foreigners in any way they can, give them shelter, food, tell them about their home-towns, accompany them and show them the places of interest. And they do it with a smile in their faces, a smile that is not taught, but comes sincerely from the bottom of their hearts. Armenian food is something that makes visit to Armenia a must-have experience. Tourists speak more about the unforgettable taste of fruits and vegetables. Armenian national food is another thing to remember in Armenia. Even bread itself has a special taste and smell. I had the special honor and pleasure to live and work in Armenia for six months and I learned how to love your country. One more (very important) thing Armenia offers for the visitor a sense of safety and tranquility that now it is hard to find in a modern city as Yerevan or in a thriving society like the Armenian; let aside the five features of your lifestyle you described so well. My warm regards, Ramiro.